The search for the missing Malaysia Airlines plane has been suspended because of bad weather, Australian officials say. Malaysian Prime Minister Najib Razak says satellite data showed the plane ended its journey in remote seas west of Australia. In Beijing relatives of passengers clashed with police outside Malaysia’s embassy, as China asked to see data on which Malaysia’s conclusion was based. About 200 relatives marched to the diplomatic mission, with scuffles breaking out as they confronted security personnel. Malaysia Airlines flight MH370 disappeared on March 8 as it flew from Kuala Lumpur to Beijing. It was carrying a total of 239 people, including 153 Chinese nationals. 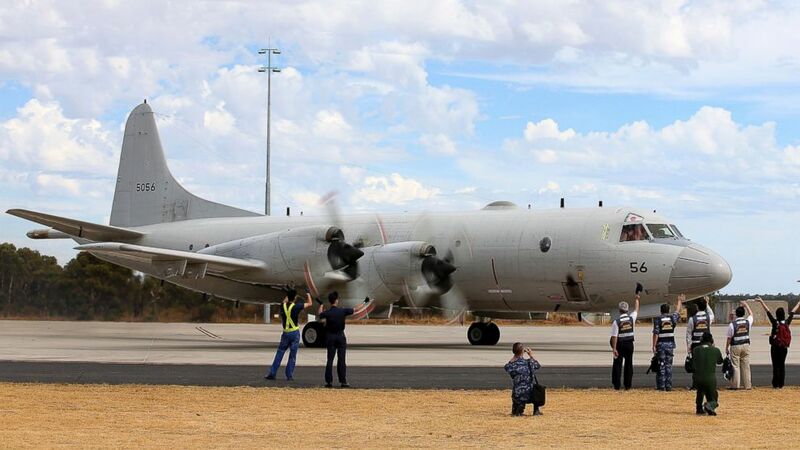 A multinational search effort has focused on seas some 1,500 miles to the southwest of the Australian city of Perth. In a news conference late on Monday, Malaysian PM Najib Razak said it had to be concluded “with deep sadness and regret” that according to new data “flight MH370 ended in the southern Indian Ocean”. Malaysia Airlines Chairman Mohammed Nor Yusof described the situation as “an unprecedented event requiring an unprecedented response”. “The investigation under way may yet prove to be even longer and more complex than it has been since March 8,” he said. Planes from several nations have been scouring waters far off Perth for signs of the missing plane, in a search co-ordinated by Australia. There have been several sightings of debris, but none have yet been confirmed as linked to the plane. In its statement, AMSA said it had undertaken a risk assessment “and determined that the current weather conditions would make any air and sea search activities hazardous and pose a risk to crew”. “Therefore, AMSA has suspended all sea and air search operations for today due to these weather conditions,” it said. Australia’s Defense Minister David Johnston said search efforts were unlikely to start again for “at least another 24 hours”. David Johnston described the search as a “massive logistical exercise” in an “extremely remote” part of the world. China, meanwhile, has asked Malaysia to hand over the data that led it to conclude the plane had flown into the sea. “We demand the Malaysian side state the detailed evidence that leads them to this judgement as well as supply all the relevant information and evidence about the satellite data analysis,” Chinese Deputy Foreign Minister Xie Hangsheng said, according to a statement on the ministry’s website. “The search and rescue work cannot stop now. We demand the Malaysian side continue to finish all the work including search and rescue,” he added.